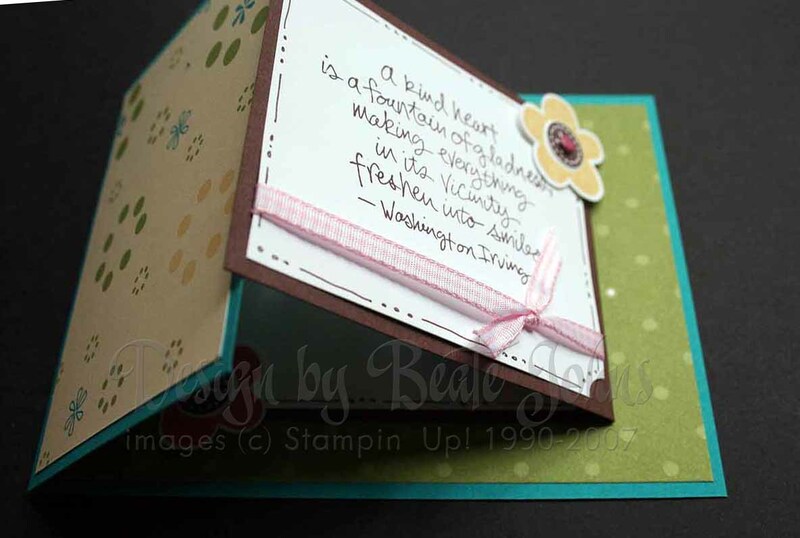 This is a fun and easy card fold. I saw it the first time, when Valerie Stangle uploaded her birthday card for Daven last year on SCS! I posted a sample yesterday and will post more later today, when I the sun is out! If you are interested in a tutorial for this fold, click on more. All images posted are thumbnails. Click on the image if you would like to see the bigger version. 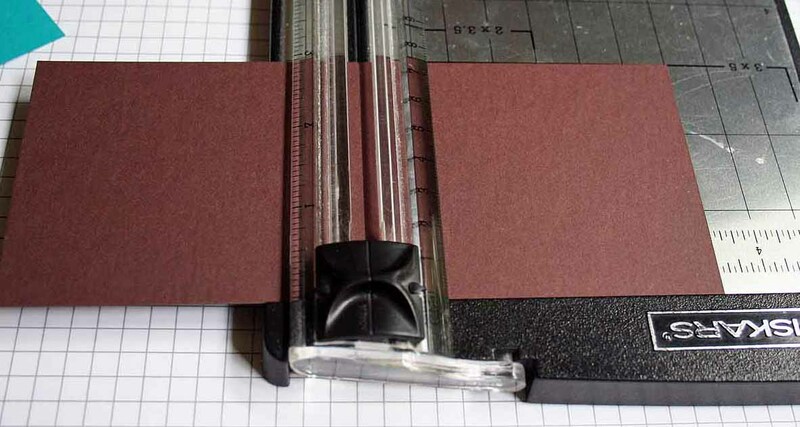 Score your 4 1/4″ x 8 1/2″ at 5 1/2″. 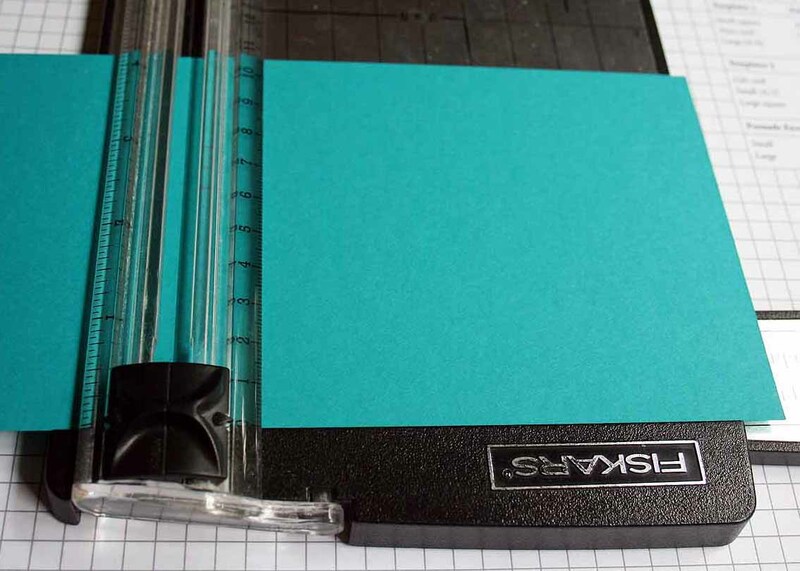 Score your 3″ x 7″ piece of cardstock at 3 1/2″. 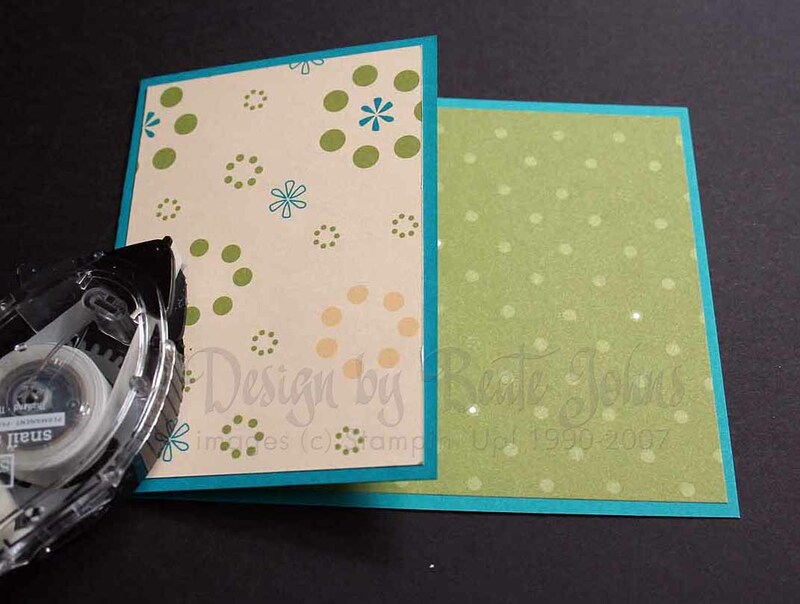 Adhere your patterned paper to your card base and card front. You could also stamp both your card base and front. Stamp the inside of your card flap. 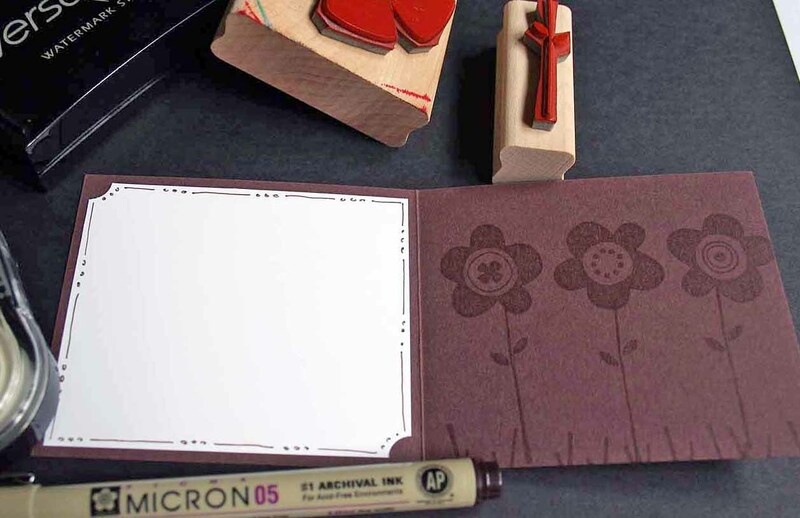 Stamp and decorate the inside of your smaller flap. Add tape to the back of the flap and adhere it so that the fold points to the right. Decorate the front of the flap. 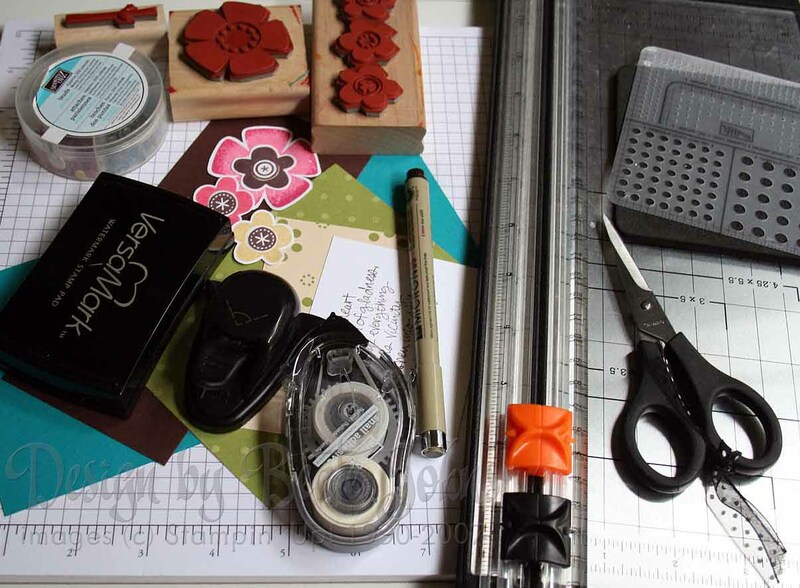 If you would like to secure the flap a bit, add a tag, flower or another cutout with dimensional partly over the center flap. Well no wonder you were a little slower than Cambria…you were making a TUTORIAL!!! Crazy woman!! Isn’t it bed time over there??? Thanks for the Tute! It’s awesome as usual. Thanks Beate…I am going to try it out when time allows! This looks GREAT! Thank for the wonderful instructions…I’ll give this a go this afternoon! Thanks for another clear, easy to follow tutorial! I’m off to make one! I have made this design before. I really like your way of securing the flap though. I used ribbon on mine and it made it a little user confusing. LOL!!! Again, I have to mention how awesome that card turned out. I love everything about it! Thanks for sharing Beate! Your tutorials are so awesome, easy to follow! Thanks for the Tutorial Beate! 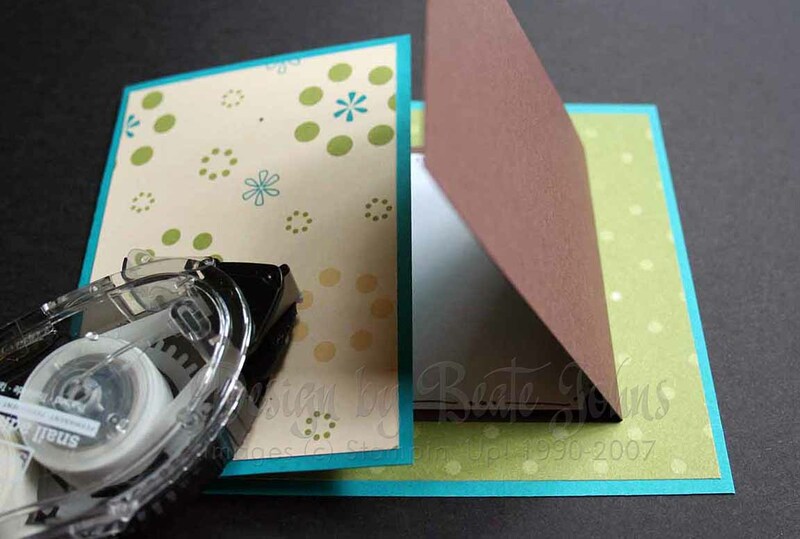 This was one card that I always wanted to know how to make (I tried making one, but it just didn’t come out right). Thanks for the tutorial! I tried one yesterday and love how it came out! Wow!! I’ve been loving your work forever…thank you for sharing so feely!! We all benefit from your creativiy!! And I’ll add my thanks for your fantastic tutortial!! I am new to splitcoasters. I like the cards and demos; however, I can’t find the “more” for the printing the tutorials. Please help. Thanks for the tutorial. I love this fold. I’ll be trying it out as soon as I have a chance and hopefully get in on the challenge. Hi, Beate! Just wanted to thank you for a great tutorial. 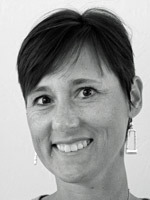 I appreciate all of the information you share on Splitcoast and will be bookmarking your blog. You do beautiful work. OK, now I have it straight — this is what I thought you meant — thank you for educating me today — LOL!!! I need lots of it!! Thanks for the step by step! I so have to try this!!! Great tutorial….I am right off to try that out! Wowsa, me likey! I NEED to make one of these … soon! Thanks for sharing, you rock! Diese Kartenform ist die weekstamp Challenge bei den Stempelhühnern und ich find die Form so toll, daß ich die nachgebastelt habe! Dein Blog gefällt mir sehr gut und ich werde bestimmt öfter reinschauen! Danke übrigens für den Kommentar auf meinem Blog. Beate – Great tutorial (as always!) do you have a pic of the inside? This is such a cute card! I used to be a scrapbooker, but I faded out of it. 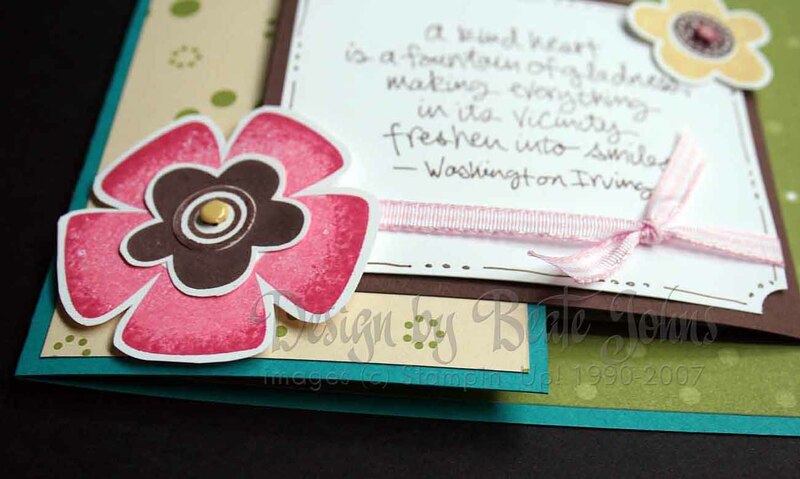 Then I had all these supplies left over, so I started card making just last month, and I love your card! Such a cute idea, thanks for the tutorial!